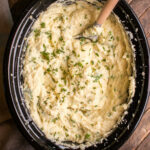 If you are an onion lover then you will love these Slow Cooker Sour Cream and Onion Mashed Potatoes. Do you love sour cream and onion potato chips? 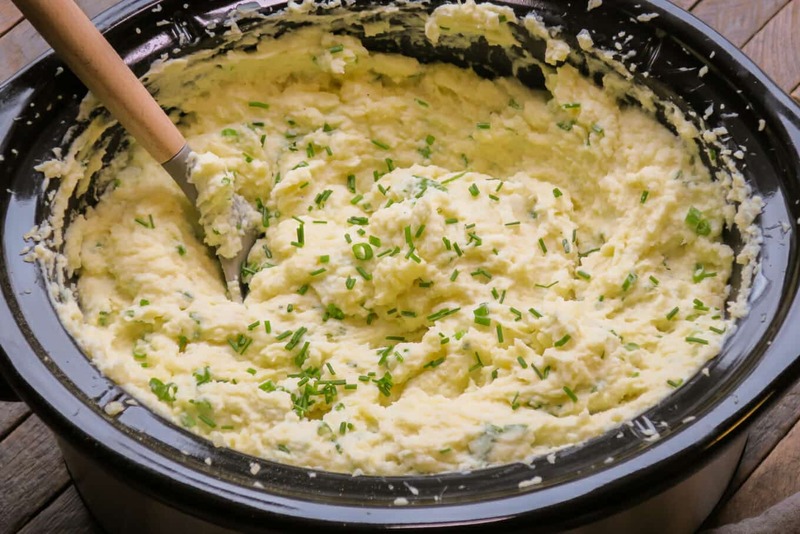 These Slow Cooker Sour Cream and Onion Mashed Potatoes are even better! I use creamy Yukon gold potatoes, those cook with onion, garlic and water. After the cooking time is up I drain the water off and add butter, sour cream, and more onions! 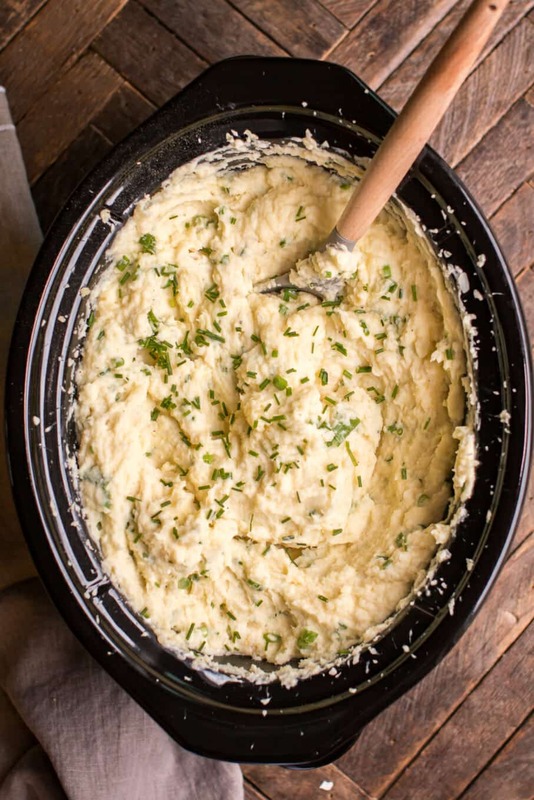 These potatoes are great with just about anything! My favorite is chicken or steak, but salmon would be great too! 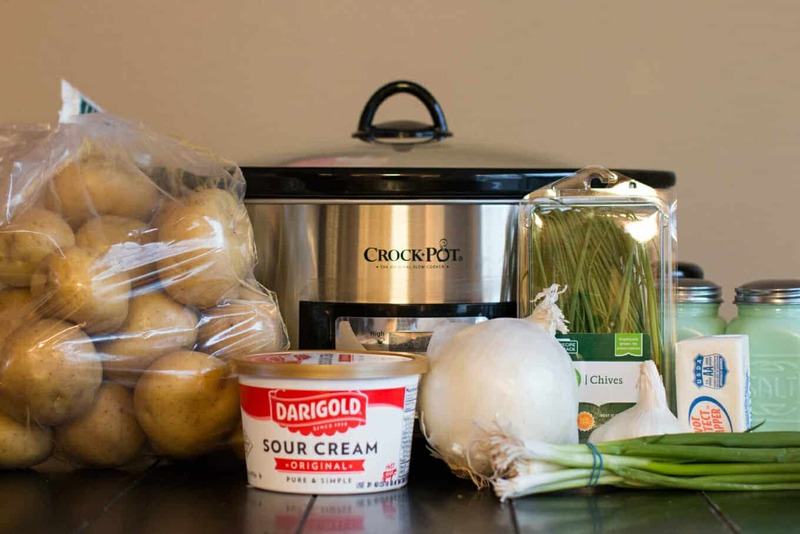 Here is my YouTube video of this Slow Cooker Sour Cream and Onion Mashed Potato recipe. You can follow me on YouTube, here. What would you serve with these delicious potatoes? Have a great week! Rich and oniony potatoes that go good with just about anything! 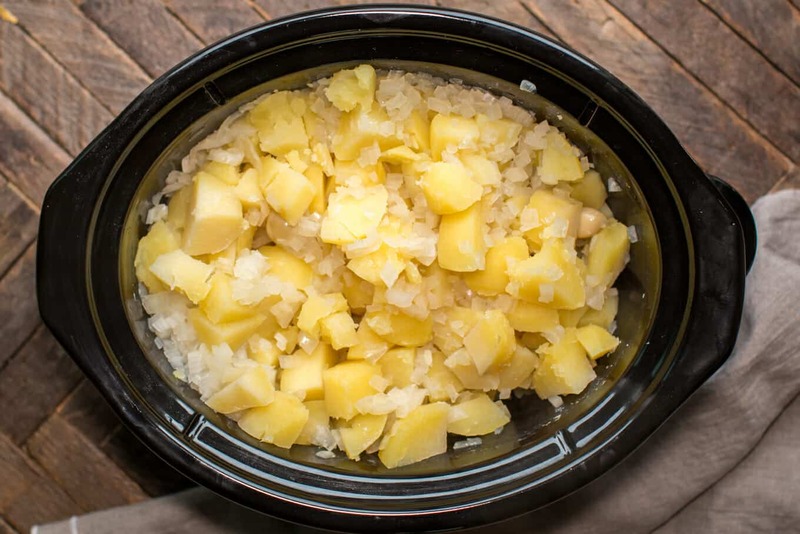 Add the peeled and diced potatoes to the slow cooker. Add the minced white onion, garlic cloves and add water to cover. 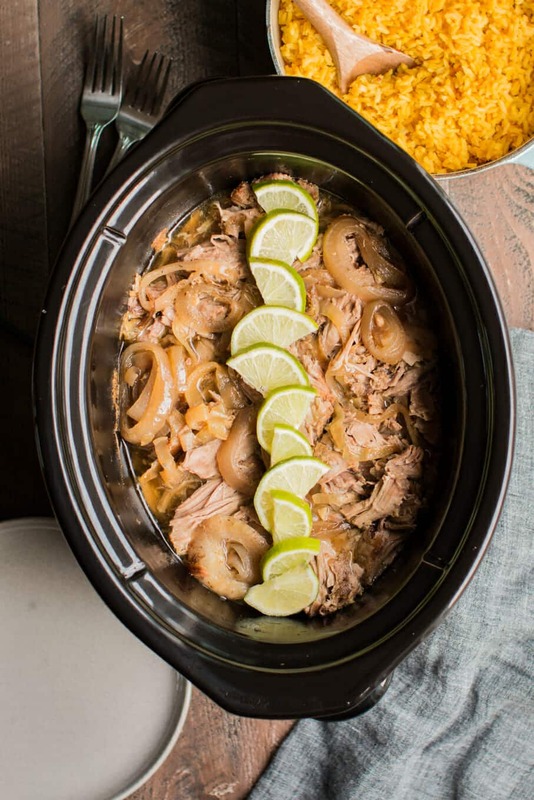 Add the lid to the slow cooker. Cook on high for 5 hours without opening the lid during the cooking time. When the cooking time is up, Drain the water off. I do this by using 2 pot holders and a spoon to hold the potatoes back, and pour off the water down the drain, it's tricky but can be done. Or you can dump the potatoes into a colander. If you see the garlic cloves, remove them. I had a hard time getting them to blend up. Add the stick of butter and bury it down in the potatoes to melt. Add the sour cream, salt and pepper. Using a mixer, blend the potatoes until smooth. 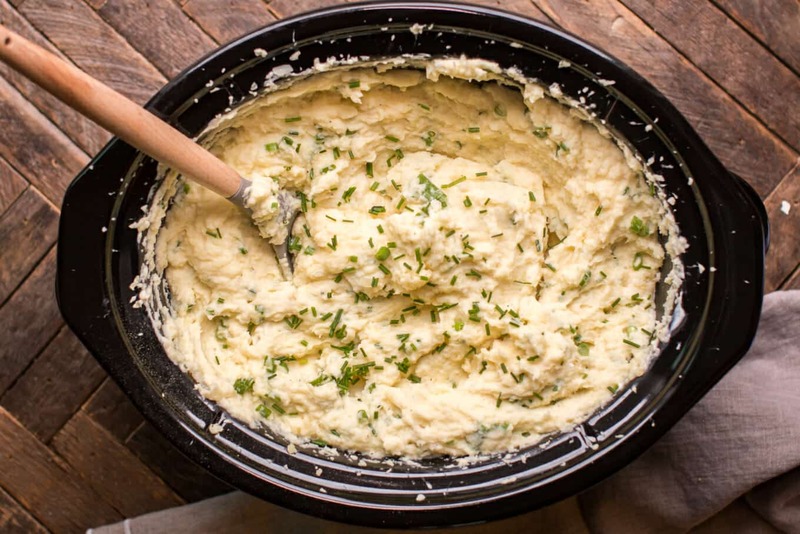 You can use a potato masher and mash by hand if needed. Stir in the sliced green onion and chives. Nutritional facts are approximate, please use your own calculations if you require a special diet.